Children who play outside after school have significantly higher fitness levels and more often meet the recommended guidelines for daily physical activity, according to new research. The World Health Organization recommends that children participate in a minimum of 60 minutes of moderate to vigorous physical activity each day. Previous research has shown that most children accumulate a majority of their physical activity time during school hours; however, with increasing cuts to physical education, children are spending less time outdoors at school and are less active. Researchers examined 306 youths (9-17 years of age) regarding their time spent outdoors between the hours of 3:30-11:59 pm. Participants wore an accelerometer and completed surveys in which they self-reported their time spent outdoors after school, including organized sports and free play. The results, published in The Journal of Pediatrics, showed that children who did not spend time outdoors after school failed to reach the recommended amount of daily exercise. The same children also spent an additional 70 minutes per day in sedentary behavior compared to children who reported spending most of their time outdoors after school. Overall, children who spend more time outdoors, whether in organized sports or free play, have higher physical activity levels and enhanced cardiorespiratory fitness. Lower levels of physical activity among children are often due to the increased availability of sedentary entertainment like electronic games and computers. The findings support the promotion of outdoor play for children as a means to increase activity levels by removing more sedentary options that indoor play provides. Playing outside is a great way for children to have fun while exercising. So, tear your child away from the computer screen and get them outside! NeuroNet note: The NeuroNet Classroom Enrichment program is an engaging and dynamic way for schools to integrate physical activities that promote both cognitive and motor development. Request a Brochure. With brain aging, cognition and gait deteriorate in several domains. However, the interrelationship between cognitive and gait domains remains unclear. We investigated the independent associations between cognitive and gait domains in a community-dwelling population. In the Rotterdam Study, 1232 participants underwent cognitive and gait assessment. Cognitive assessment included memory, information processing speed, fine motor speed, and executive function. Gait was summarized into seven independent domains: Rhythm, Variability, Phases, Pace, Tandem, Turning, and Base of Support. With multivariate linear regression, independent associations between cognitive and gait domains were investigated. Information processing speed associated with Rhythm, fine motor speed with Tandem, and executive function with Pace. The effect sizes corresponded to a 5- to 10-year deterioration in gait. Cognition and gait show a distinct pattern of association. These data accentuate the close, but complicated, relation between cognition and gait, and they may aid in unraveling the broader spectrum of the effects of brain aging. The Rotterdam Study is sponsored by the Erasmus Medical Center and Erasmus University Rotterdam; the Netherlands Organization for Scientific Research (NWO); the Netherlands Organization for Health Research and Development (ZonMW); the Research Institute for Diseases in the Elderly (RIDE); the Ministry of Education, Culture, and Science; the Ministry of Health, Welfare, and Sports; the European Commission (DG XII); and the Municipality of Rotterdam. J. N. van der Geest was supported by the Prinses Beatrix Fonds. The authors declare that they have no conflict of interest. Children’s core language skills are more malleable during the early stages of development. As children reach adolescence, their language skills appear to be more fixed; therefore, improving older children’s core language skills becomes increasingly difficult. The results, published in Child Development, further highlight the importance of early intervention to improve children’s language skills. The longer parents wait to seek help for their child’s language skills the more challenging it becomes to alter lower language proficiency. In the current long-term study, researchers examined a child’s core language skills at 20 months then at 4, 10, and 14 years. In doing so, this helped researchers to better understand the issue of stability in language development from early childhood to adolescence. Researchers obtained video-recorded speech samples of the 324 participants at ages 20 months and 4 years. Additionally, at all four points in time, researchers assessed children’s language abilities from reports given by their mothers and standardized language assessments. The findings revealed differences in children’s core language skill from the end of infancy to adolescence. As children reached the ages of 10 and 14 their language skills were more stable and less likely to change; however, children’s language abilities did shift between the age of 20 months and 4 years. Based on these results, researchers suggest children’s early years are crucial to language skills development. Language skills are essential for learning, communicating, and building relationships with others. Expand upon the words your child uses. Sing simple songs and recite nursery rhythms to show the rhythm and pattern of speech. NeuroNet note: NeuroNet programs consist of movement exercises that incorporate rhythmic movement, listening, and talking. As children progress through the program levels they improve their ability to learn and automate new exercises, a key step in the process of developing learning readiness. Bornstein, Marc H., Chun-Shin Hahn, Diane L. Putnick, and Joan T. D. Suwalsky. 2013. “Stability of Core Language Skill from Early Childhood to Adolescence: A Latent Variable Approach.” Child Development (early release). "It turns out that kids who are poor readers have a lot of difficulty doing this motor task and following the beat. In both speech and music, rhythm provides a temporal map with signposts to the most likely locations of meaningful input," Prof Kraus told BBC News. The brainwaves recorded matched the soundwaves, she said. "You can even take the recorded brainwave and play it back through your speaker and it will sound like the soundwave. "It seems that the same ingredients that are important for reading are strengthened with musical experience. Musicians have highly consistent auditory-neural responses. 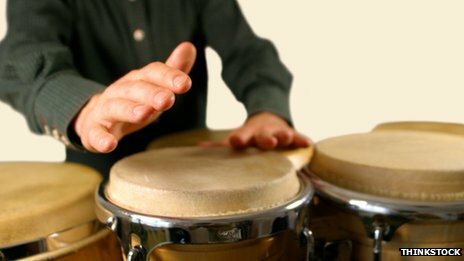 "This study adds another piece to the puzzle in the emerging story suggesting that musical-rhythmic abilities are correlated with improved performance in non-music areas, particularly language," he said. Dyslexia is a major cause of reading failure in school, and is one of the most common learning disabilities in schoolchildren in the U.S. In fact, about 20% of the U.S. population, or 1 in every 5 people, has been identified as dyslexic. Early detection and intervention of dyslexia can help children keep-up in school, as well as minimize the negative effects of dyslexia. Researchers have begun to explore neuroimaging techniques to gain better insights into the reading and language centers of the brain and the role genetics play in dyslexia. A current review, published in the journal Molecular Genetics and Metabolism, highlighted new neuroimaging studies of dyslexia and the mechanisms that underlie this prevalent disorder. 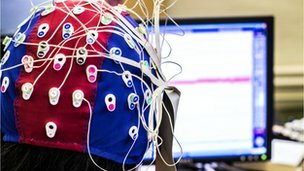 Neuroimaging techniques have revealed the structural, connectivity, and functional workings into the brain’s reading and language abilities. These studies have shown strong differences between individuals with dyslexia compared to typically developing individuals. Individuals with dyslexia display differences in their gray matter density and in their white matter connectivity. In addition to structural differences in the brain, researchers are beginning to identify gene-specific, location-specific dysfunctions that are related to dyslexia. These are also referred to as “brain gene expressions.” Pairing this type of information with imaging data can aid researchers in identifying where risk genes normally function, and the potential risk for family members inheriting this gene. Current studies are combing various approaches and methods, such as behavioral, genetic, and imaging data, to further understand the brain regions that are associated with gene-specific effects of dyslexia. To date, there remains an incomplete view of the biological mechanisms underlying dyslexia. But, much progress has been made into identifying impairments that may contribute to the deficits observed in dyslexia, which will hopefully help with early detection and therapeutic interventions. Journal reference:?Eicher, John D., and Jeffrey R. Gruen. 2013. “Imaging-Genetics in Dyslexia: Connecting Risk Genetic Variants to Brain Neuroimaging and Ultimately to Reading Impairments.” Molecular Genetics and Metabolism. Did You See "60 Minutes" on Oct. 23rd?